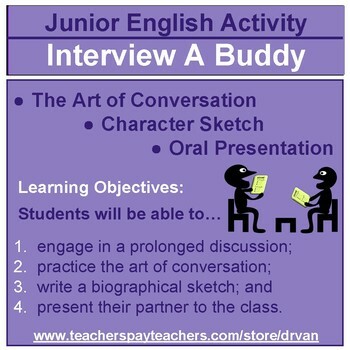 Students "interview" each other by engaging in a prolonged and meaningful conversation. 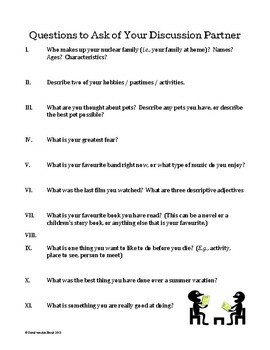 While numerous guiding questions are provided, students are encouraged to find out about each other in a natural conversation, getting off screens and texting, and spend quality time with face-to-face contact. 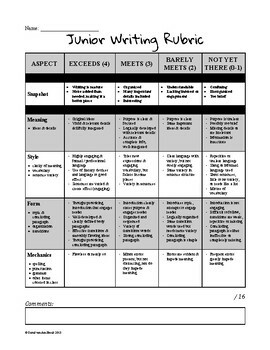 After students converse and record, they are tasked with writing a character sketch of the person they spoke to. 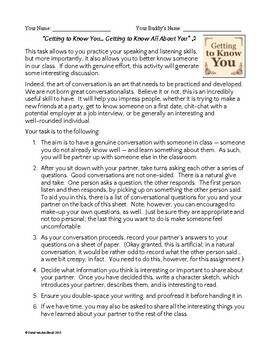 After writing, an optional activity I have students undertake when time permits, is to present their partner in a low-stakes oral presentation. In this way, the activity becomes a team-building one, as everyone in the class learns interesting details about each other.